Pursuits can be created from a contract or grant Opportunity notice (i.e. an existing pre-solicitation or solicitation) that you find on GovTribe. This short video shows you how to create a new pursuit from an opportunity. A written walkthrough with screenshots is also included below. When a Pursuit is linked to an Opportunity, that relationship appears in the Opportunities tab of the Pursuit. Begin by identifying an Opportunity that you wish to add to your Pipeline. These would be items you would find via Federal Contract Opportunity search or Federal Grant Search. On each opportunity page, there is an Add to Pipeline button in the upper right corner. When you click that button you are presented with a list of your Pipelines. You will then be shown a confirmation dialogue box. Click the Close button to remaining on the current page and continue browsing for more opportunities. 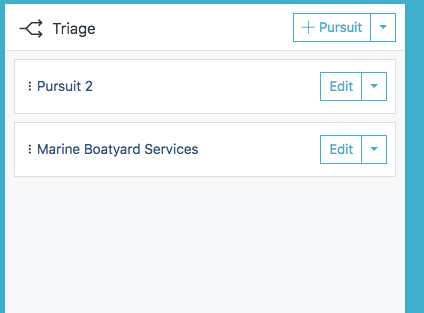 Or you can select View Pursuit if you want to be redirected to the new Pursuit page in your Pipeline that you just created for the opportunity. 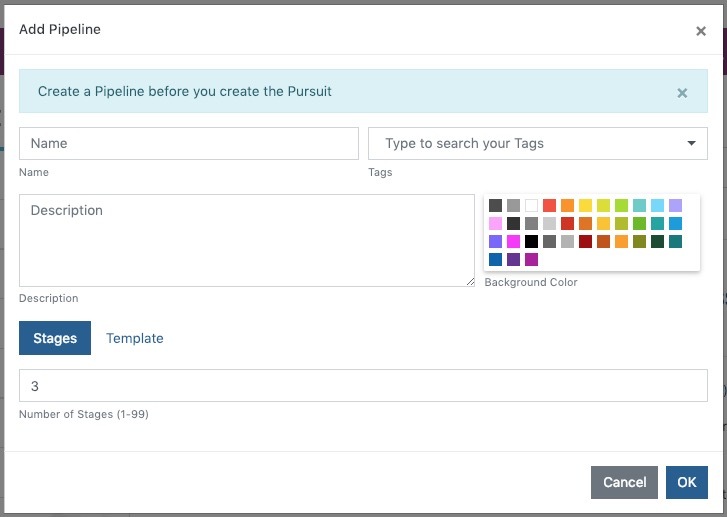 If you click the Add to Pipeline button and you have not yet created any Pipelines, you will be presented with a pop-up box inviting you to create one. After you complete the requested information to set up a Pipeline, your opportunity will be added to it as a new Pursuit in the Triage stage, and you will be presented with the same confirmation dialogue box shown above.